In our age one of the more popular casino games, Roulette was in widespread use in the 18th Century. In Europe and America. 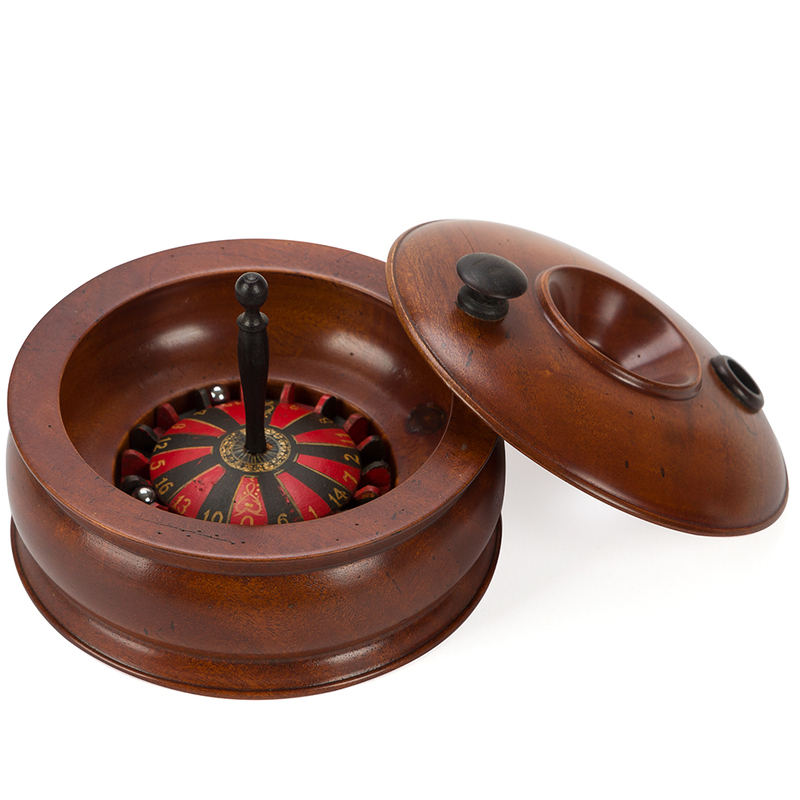 Place lid on a bowl, spin the ebony shaft, drop in the ball through the hole and wait for the wheel to stop spinning. Place bets and open the lid…. Win or loose! Bowl and lid have been crafted from wood. Ebony shaft attached to the wheel. Comes with two small metal balls. Small and compatible size make it easy to carry around. Presented in a box by Authentic Models. Dimensions: 14cm (l) x 10cm (h) x 14cm (w) (Lid Included).